When people think of a pet fox they usually picture a red fox or perhaps the tiny fennec fox. But over the years a new kind of pet fox has been developed. A domesticated fox was bred by the Institute of Cytology and Genetics in Novosibirsk, Russia through decades of selective breeding. A Las Vegas, Nevada distributor called SibFox was set up to bring these foxes to the U.S. The process of purchasing one of these rare foxes has since become more direct, although still very challenging, and SibFox no longer handles sales. The Las Vegas, Nevada based company that acted as a liaison and distributor of tame Siberian pet foxes was called SibFox. At one time they were listed on the website of the Institute of Cytology and Genetics in Novosibirsk as official distributors of the tame Siberian pet fox. The company had Russian-speaking team members and worked directly with the fox farm in Russia to distribute the foxes to North American homes where they were sold for thousands of dollars as pets. Some people complained about the company, stating they never got their foxes or the price was outrageous for a pet fox. They were called a scam by many people. SibFox's main purpose was to handle the various state licensing requirements and charged several thousand dollars more than buying directly from the farm for their services. It was said to be very difficult to import a Russian fox into the states and SibFox was supposed to help get through that red tape. SibFox was supposed to purchase the tame Siberian foxes (also known as silver domesticated foxes or Belyaev's Experiment) from the breeder in Russia and then supposedly had a contractual agreement with the buyer in North America. That contract required the buyer to maintain proper health in their domestic fox, recommended taking the pet fox to dog obedience classes, guaranteed the fox to be neutered at time of receipt, and went over other responsibilities and agreements. However, a pair of the imported foxes ended up being turned over the U.S. government and rehomed to the Austin Zoo due to poor shipping conditions that resulted in health problems for the foxes and that importation was not allowed by either Nevada or Texas. By 2012 the SibFox website had been taken down and the company ceased business with the Institute. The Institute of Cytology and Genetics has developed these tame pet foxes through long-term selection and breeding for behavior. Over 50 years have been dedicated to this study and to the development of this domesticated pet fox. These domesticated foxes, also referred to as Belyaev's Experiment (after the professor who started the fox study), silver foxes, and Russian red foxes are essentially genetic mutations of their ancestors. Their ear and tail posture have changed and they come in different colors due to the decades of selective breeding. Even their genes have changed and they are truly domesticated. National Geographic did a special report on the lab which brought them great exposure and started the demand for domesticated pet foxes in the states. The Siberian pet fox is a larger fox and can weigh around 20 pounds and is almost two feet tall at the shoulder when they are standing on all four legs. They still look a lot like their ancestors but noticeable changes have been made to their personality, behavior, and appearance. 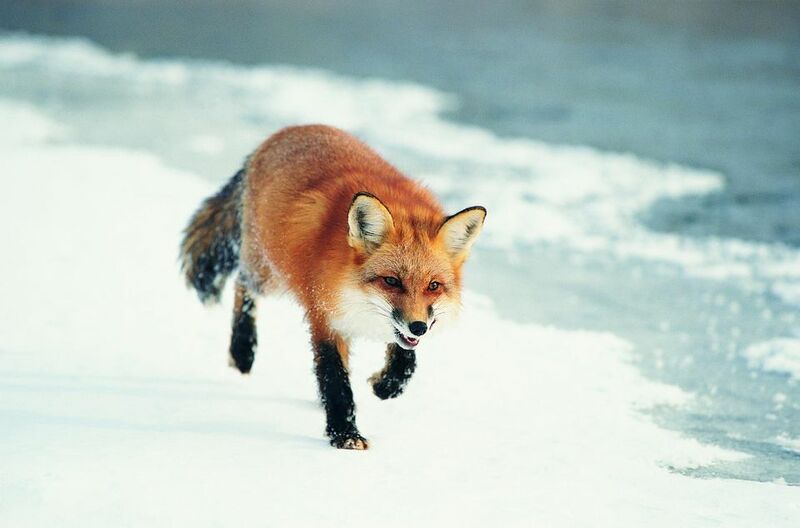 Despite the fact that the SibFox company is no more, these foxes live on in Russia and are still reportedly available if purchased directly through the Russian lab (the Laboratory of Evolutionary Genetics of Animals). The lab sells their foxes as pets (and fur since many places deem it illegal to own a pet fox) to fund the project. Check for contact information on their website if you are interested in purchasing one. Note that you will need to work with a licensed exotic animal importer, which can be hard to find. Local and state laws need to be thoroughly checked before you contact the lab as owning a domestic fox is illegal in most states and jurisdictions in the U.S.
Do Domesticated Foxes Make Good Pets? What Should a Pet Fox Eat to Stay Healthy?